You must make reservations at least 5 minutes in advance of the time at Knoxie's Table at The Inn at the Chesapeake Bay Beach Club. 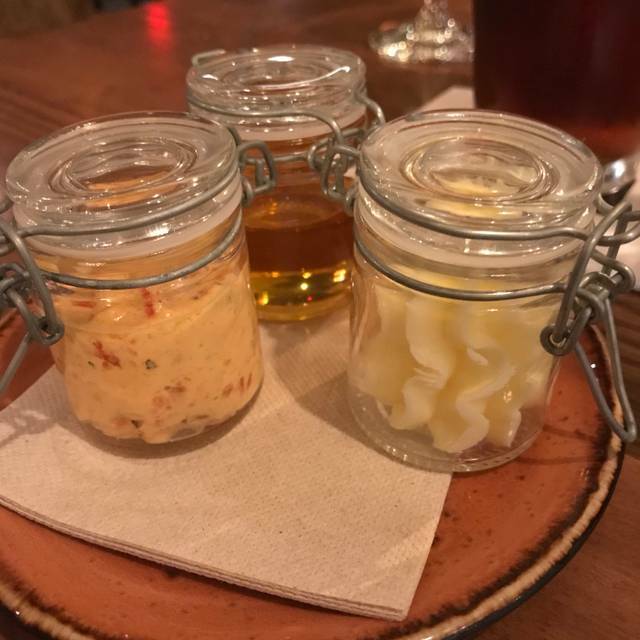 Located on the first floor of The Inn at the Chesapeake Bay Beach Club, Knoxie's Table brings an innovative dining concept to Kent Island. The menu draws inspiration from our very own Chef's Garden and utilizes local farmers and watermen to create seasonal dishes featuring the area’s finest ingredients. Knoxie’s is our way of connecting locals and special guests to the very best of the Chesapeake Region. We believe the best tasting food is locally sourced and harvested in ways that are ecologically sound by people who are taking care of the land for future generations. We invite our guest to enjoy the immediacy and excitement of vegetables just out of the garden, fruit right off the branch and seafood fresh from the Chesapeake Bay. 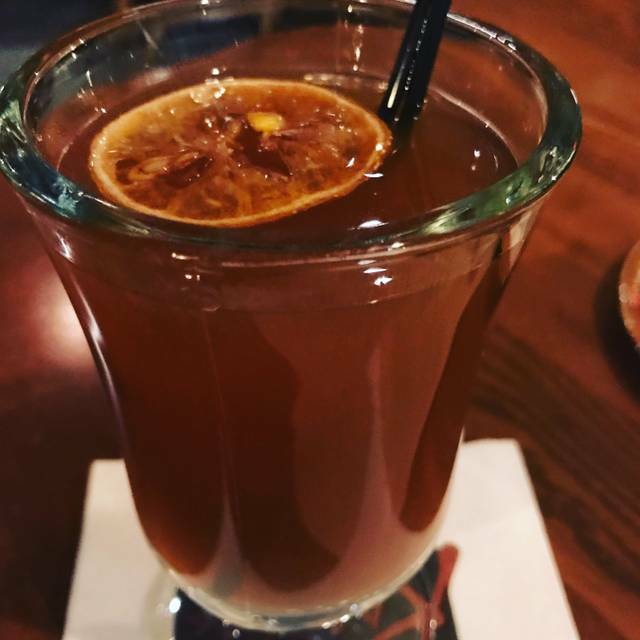 Wheatly vodka, pomegranate juice, simple syrup, lemon wedge topped with prosecco. The restaurant was very nice. cozy. could be fancy or casual. the food was excellent. Everything was excellent, our server just seemed a little rushed, nonetheless Knoxie’s is definitely a new favorite! Awful service and ignorant management. For the price of the steak it was not as tender as I thought it should be. The food was very good and the kitchen seems to have it together. The wait staff is friendly and attentive but not very professional. When I spend $38 on an entree I expect the staff to be trained proper table service. Women served first, food eaten with a spoon is served from the right side and food eaten with a fork should be served from the left side. The level we received is what I expect from a pub. Also the restaurant was extremely noisy. I don’t mind some noise but it was difficult to hear one another at the table and the bar crowd is mixed with the restaurant. I wouldn’t go back for a romantic dinner. You’re in for a treat! We asked for a quiet table through Open Table, and upon arrival, the host read that request, and in response took us to a table on the restaurant’s far side, away from a ten-person birthday celebration. 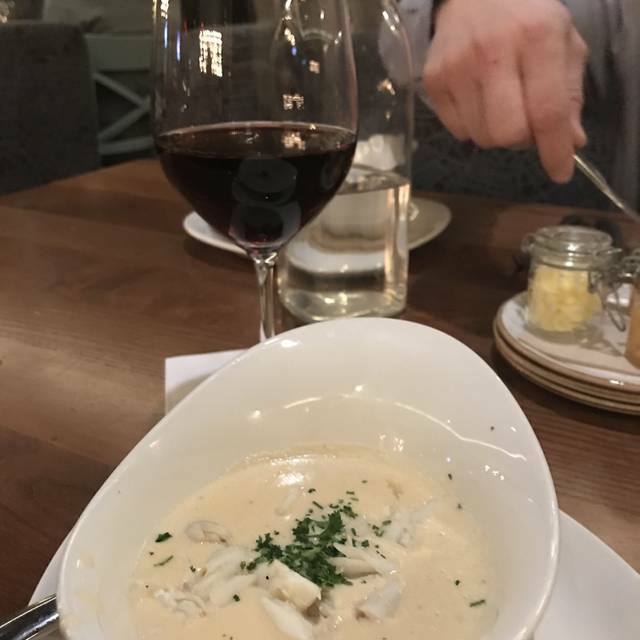 The crab soup was hearty, creamy and superb. 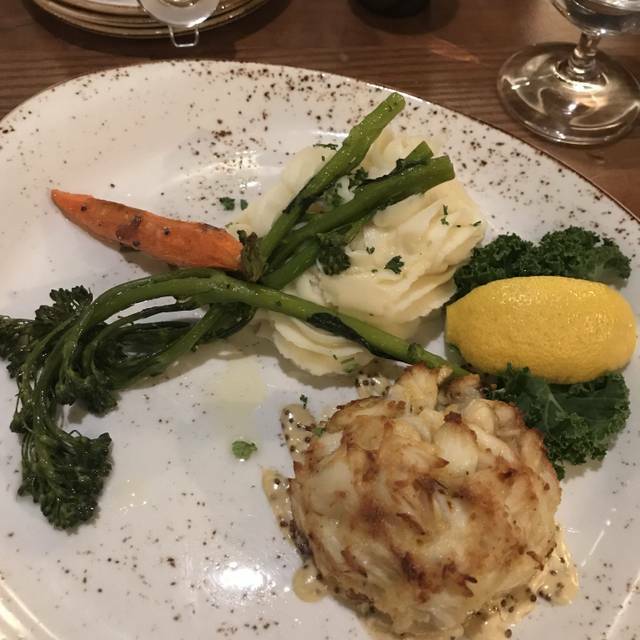 The crab cake was almost entirely crab with little filler. The tuna appetizer was fresh and excellent. The service was acceptable if somewhat slow. I wouldn’t hesitate to recommend this place again. 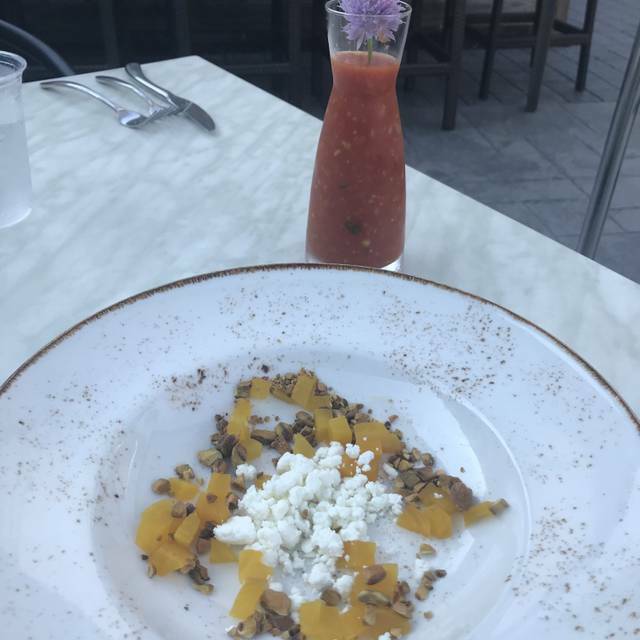 The food, drinks, and service are always great. The noise level is high; leaving it tough sometimes to have a conversation. Waitress took 15 minutes to greet us after dinner we never saw her again. We enjoyed locals night offerings. Lemon meringue pie had very little lemon custard......but all in all delicious. Went on St. Patrick's Day with my neighbors who are moving. Pretty empty, but Mary was great. She did forget to get us utensils. I retrieved them from the server table. Food was great. We had a nice Sunday brunch. Our server was very sweet although not terribly knowlegable, especially about specials and such. The food was good and the atmosphere is very charming. Prefer dinner over brunch but still great food. Expected a little more food for the cost of the brunch entree. Will continue to go to dinner at Knoxies it’s our favorite! Burger night on Wednesday was great! Great choice of beers to compliment the burger too. The setting was perfect! From the time you walk into the door you are greeted by warm friendly staff. Our waitress was excellent. Very knowledgeable and friendly. The food was superb. We had the oysters and crabdip for appetizers. The filet and crabcake for our main dish. Followed up with creme brûlée. It was a great evening out. We had a fantastic meal and our waitress Kim was superb. My husband had the steak and crab cake. It was one of the best crab cakes he's ever had. I ordered the venison per our waitresses suggestion. I was not disappointed. The venison was delicious and so tender. Recommend the restaurant and both dishes. The manager, Bill, noticed that we were celebrating quite a few milestones while we were chatting and sent us some complimentary champagne and sat us in the best seat in front of the fire! It made our night all that much better! Great place with great atmosphere and food! Great ambiance and decor- beautiful! Everything what almost perfect-the only cretic is how Salty some of the food is. The place is lovely but I am a vegetarian. I know that places often cannot accommodate a vegetarian and that is fine. Nice brunch , food was good and server did fine job. Beautiful property! Steaks were very good. Enjoyed the different approach to Calamari. Lobster bisque was bland as were the Brussels sprouts. Our service was very good. Overall good experience. Our server Ashley(?) was wonderful. The food is always excellent! I love coming to Knoxie’s whenever I get the chance. Definitely have to come back more often. My boyfriend and I were staying that the Inn for a weekend getaway, so naturally we wanted to try out Knoxie's. It did not disappoint. It was a little later in the evening so we were able to secure one of their large booths in front of the fireplace. So romantic! Great wine and cocktail selection and the appetizers we shared (Calamari, Oysters) were great. The Calamari comes with a medley of olives and tomatoes which is different but we enjoyed it. He order the filet and I ordered the scallops. If you're in the area, great dinner option. We had received a gift card for our wedding and were excited to use the gift card and also got a $50 credit toward Knoxie's table. We used it at brunch the morning that we left. Our server Mandy was great, she brought us out extras and we were super thankful for her. The crab benedict I thought was going to have a crab cake but it just had crab sprinkled over the egg. I was a bit disappointed in that, guess I should read the menu a little more closely. The biscuits were good, nice and sweet and perfectly warm. Overall, good. We would like to come back when there is a taste of the town special. Always love Knoxies! Such wonderful staff and the food is outstanding. Can’t wait to come back!! Highly recommend! Food was outstanding, and staff were all friendly and attentive. The homemade pies are out of this world too. Great service, awesome dinner. We went the day after Valentine's Day and it was not crowded. Nice atmosphere. We had the filet minon and the scallops and risotto. Everything was really good. Valentines dinner here was amazing. In addition to the standard menu they offered some additional selections that all included lobster tails. The tails were huge and the entire portion was enough for my wife and I to split. We have eaten here several times and by far this was the best experience yet. After dinner we walked around in the courtyard and took pictures with the trees that were all lighted and even took a few min to sit in the rocking chairs by the enormous gas fire pit. This is by far the place to go too for dinner or brunch on the weekends. Wonderful customer service, amazing food, and truly a wonderful experience time and time again. Food, drinks, and service are outstanding! Especially our server Kim, the second time there and she is always great. Great atmosphere and amazing food. A great place to have a romantic meal. Wait staff and hostess was great. We got a filet and the special of the day, gumbo. I expected it to be amazing but it was just, eh. The oysters and dessert were great though. Food was fantastic. Chef Paul Shiley outdid himself. Duck and venison and black squid linguine with clam sauce were amazing as was calamari. Highly recommend Knoxie’s. You won’t be disappointed. 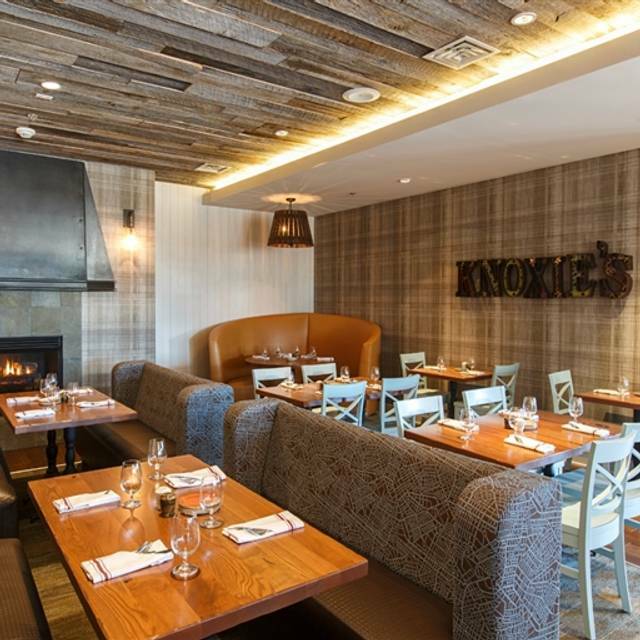 The atmosphere and service has always been wonderful at Knoxies but over the last couple of years the food has not been as good as when the restaurant first opened. We had a great evening out, exceptional table nestled in one of the corners of the restaurant. We enjoyed every dish we tried and left some menu items to try in the future. It was a busy night in February which I very nice to see. Everyone seems to really be enjoying themselves. Great ambiance and excellent service! We really enjoyed our time at Knoxie's Table. 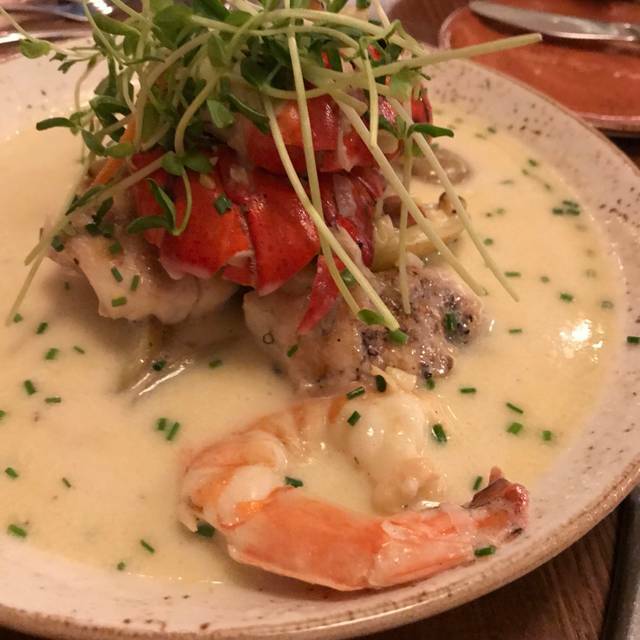 The crab cakes and Maryland cream of crab soup was amazing. We would have like to have had more separation from the bar and televisions but other than that we loved it and hope to go again. 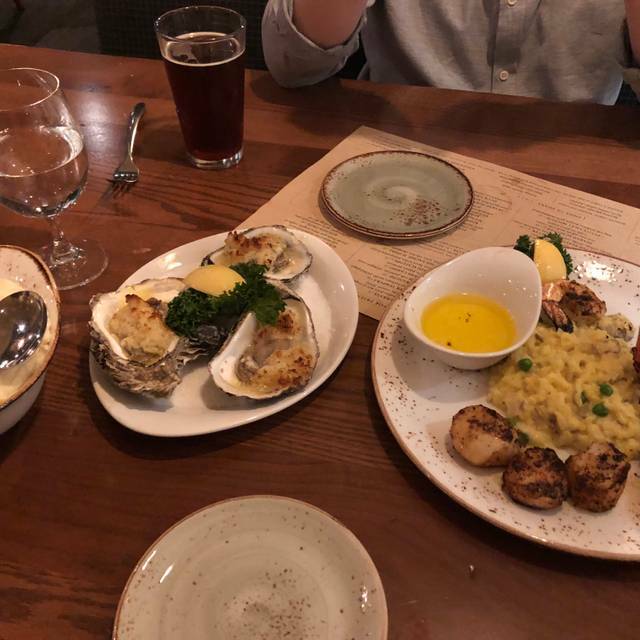 Having dined there many many times previously for dinner and been well-satisfied with entres and service and our friends were as well, we were very disappointed at the brunch and we had invited business and personal friends to join us expecting the same quality. MY husband's e Eggs Benedict tasted like fish. My French Toast was dry and tasteless. Our guests were non-committal regarding their selections which told us they were not particularly pleased. We don't expect to return for brunch any time soon, if ever. We were excited that brunch was now being offered on both Saturdays and Sundays, but not so much now! We will try dinner ONE more time, but if the food is as poor as it was for brunch, it will be our last and we are disappointed as we have recommended Knoxie's Table to many and now are concerned we misguided them. Sad to lose such a good venue - at least the Brunch is NOT good in our opinions.